Chief Executive of the East Lancs Hospitals NHS Trust, Kevin McGee. The Chief Executive of the East Lancashire Hospitals NHS Trust (ELHT), Kevin McGee, has been recognised as one of the Top 50 Chief Executives in a list of NHS leaders selected by the country’s largest specialist healthcare magazine, the Health Service Journal (HSJ). Appointed to the Trust’s top role in September 2014, Kevin McGee’s focus has been on improving care at ELHT’s five hospitals, which employ over 7,000 staff, and numerous community services operating care services for local populace. Kevin took the helm of an organisation that had been in ‘special measures’ just weeks before his arrival and has overseen an impressive turnaround in the Trust’s fortunes which culminated in a Care Quality Commission rating of ‘Good’ in January this year. “It is very pleasing to be named in the top 50 Chief Executives but this recognition is really for the whole Trust and the major achievements we have made in quality, performance, leadership and employee engagement. Our wonderful staff and leaders fully deserve to share the credit,” he says. 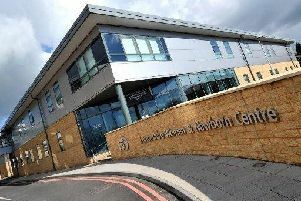 Since Kevin’s arrival at ELHT, the Trust has achieved a number of significant improvements in patient care including reducing cases of patient harm by more than 500 per year, reduced inpatient falls by 36 per cent and invested in new facilities such as the East Lancashire Elective Centre at Burnley General Teaching Hospital.